These shorts are perfect for everyone...from the yacht racer to the day sailor, from the kayaker to the mountain climber. The new nylon fabric is lightweight, yet made for the abuse. It has a DWR (Durable Water Repellent) finish that dries quickly and has a UV rating of 40+. The Hobart Extreme Technical Shorts are the lightest shorts on the market weighing in at a mere 9 ounces. 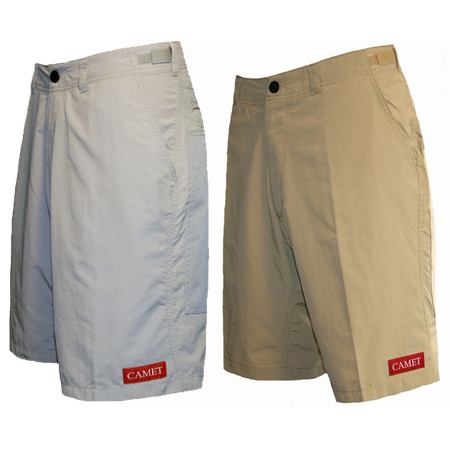 Offset side seams reduce chafing and the improved design, with a clean relaxed profile, gives you extreme flexibility. Features include two back pockets with Velcro closures, adjustable Velcro waist, two deep side-pockets and Cordura reinforced seat for added protection from abrasive surfaces. The Hobart Extreme Technical Shorts will get you there and back. Hobarts short do not have rear pockets for foam pad inserts. Weight: 9 oz Inseam: 10"